Randal is a results-driven, development and execution-oriented leader with more than 25 years experience leading high performance teams. He’s a proven business professional, capable of leading change in both the boardroom and on the frontline, with a strong track record leading strategy development, entrepreneurship, performance and evaluation, globally, across a variety of social enterprises and functions. Prior to joining OneAccord Nonprofit, Randal was the President of Profit Environment, a startup company that brings new solutions to enable CEOs to recapture profit lost due to an unhealthy corporate culture. 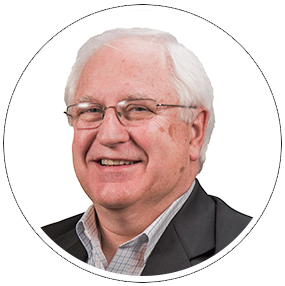 At Design Group International, Randal was a Senior Consultant and his focus areas included organizational development, operations improvement, governance excellence and interim leadership. Randal has provided servant leadership and executive oversight to churches and mission operations in over 70 countries in his position as Director of Missions and International Operations with the Worldwide Church of God. He led a team of regional and national leaders in the identification, planning and execution of mission critical objectives, and facilitated a cross-national cooperation program sharing. Prior to this role, Randal served as Senior Pastor to a series of congregations from Washington, D.C., to Florida, and Chicago, IL. While at the Ambassador Foundation, Randal was the Personal Assistant to the President providing support for the development of numerous international educational, humanitarian and other programs. Randal has a Doctor of Philosophy degree in Intercultural Studies at the School of Intercultural Studies, a Master of Arts in Intercultural Studies from Fuller Theological Seminary, and a B.A. from Ambassador College.